Our deepest emotions are felt in our hearts. The heart shape, which, by the way, looks nothing like the real human heart, is a symbol of many emotions including joy, courage, and sorrow, but most especially love. Millions of cards are exchanged every Valentine’s Day with red-heart shapes printed on them, expressions of romance and love. The symbol of two hearts on the tomb above represents love, as well. 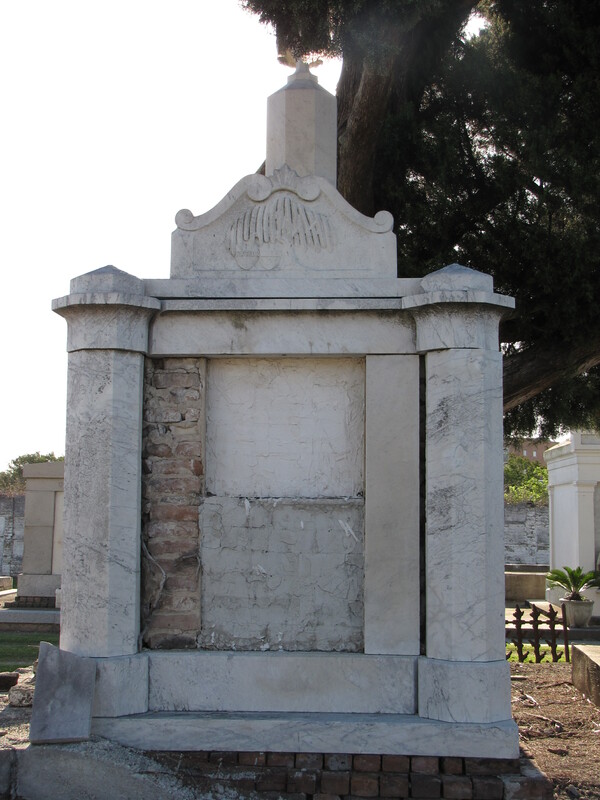 The New Orleans tomb displays the willow, a traditional symbol of sorrow. 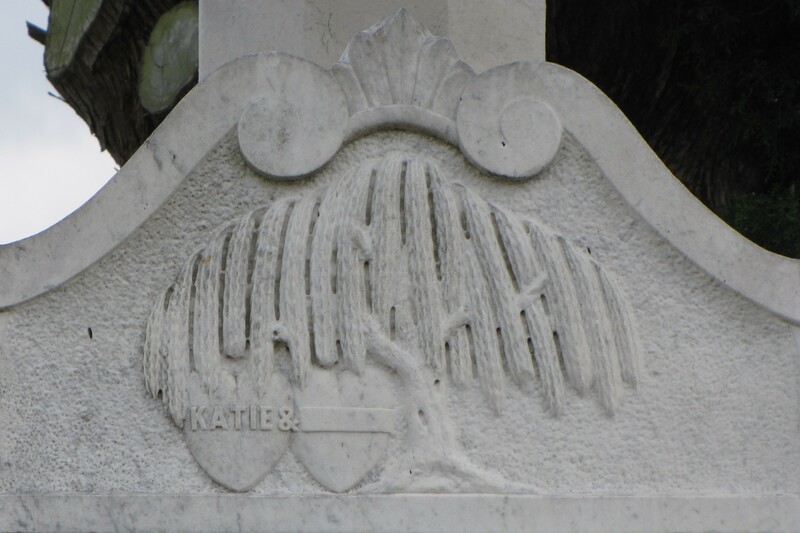 In this carving the willow branches shelter two hearts on the tomb hinting at grief and a tragic story. Now that one is really a “heart breaker”….poor guy…. definitely a good choice for Valentine’s Day. How sad-She was able to experience great joy and great sadness is such a short time. I think the epitaph that her husband wrote tells the story of how very happy the young mother-to-be must have been to be pregnant. She experienced such great joy carrying her baby only to die on delivery. In 1869, childbirth was such a risk. Even today the joy of having a child is dampened by the fear of the multitude of things that can go horribly wrong. I think it is truly why birth is described aptly as a miracle.